The beautifully traditional Hillingdon 450mm Wide Cloakroom Basin, hand crafted by Silverdale Bathrooms from the finest china clay. 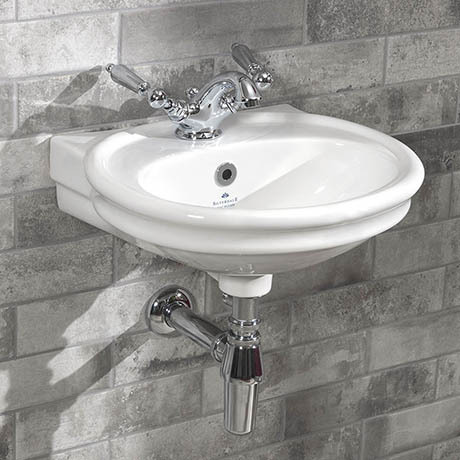 This beautiful wall hung basin is characterised by its elegant double roll rim and soft edges, the Hillingdon collection of sanitary ware looks great in either modern or traditional interiors, features a stylish rounded basin. Ideally suited for a small spaces.